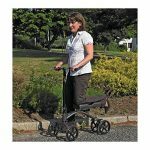 So, Are You Thinking Of Buying A Rollator Walker? A rollator, rolling walker or rollator walker as they are variously know, were designed to meet specific needs which were not being met by the traditional walker. People with weight issues or physical health conditions complained they needed a regular walker with a seat and larger wheels, so they could sit down when they were tired from walking or needed a rest as well as being able to navigate rough ground and for use outdoors. With this in mind, rollator walkers were designed to be used indoors and outdoors, on uneven surfaces as well as holding high weight capacities with swivel wheels at the front so people can manoeuvre them easily. The benefits of a rollator walker are many, foremost is giving their owners independence and choice without having to depend on others for assistance. Weight Capacity: how much does that person weigh? 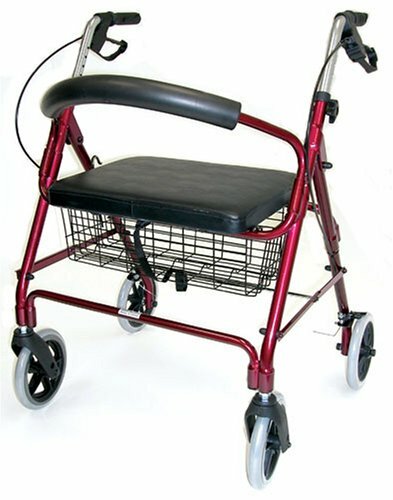 When looking for the best rollator walker, it is important to make sure the weight capacity of the rollator will accommodate your weight. 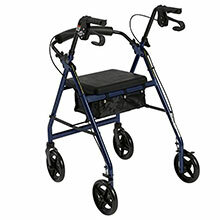 For example if you are tall and weigh around 300 lbs, you do not want a rollator with a capacity of 250 lbs! 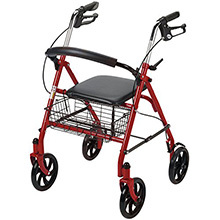 You can view the top 3 bariatric rollators here. Seat Width: Another important feature to be aware of is the seat width. Many standard seat widths in rollators vary between 13 to 15 inches. Make sure you comfortably fit this seat width. Another point to be aware of is the measurement between the armrests. 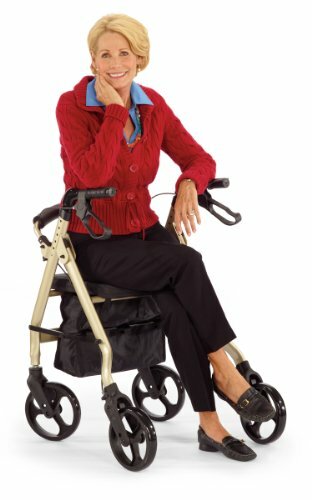 Check to make sure that measurement is wide enough for the person to comfortably seat themselves on the rollator seat. 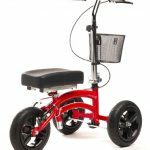 Rollator brakes: what’s going to stop you….? You want brakes that are easy to operate and quick to work, so you can feel in control at a moment’s notice. Brake choices include loop and push down brakes. Push down brakes: are the easiest brakes to operate. 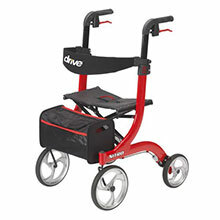 They work by downward pressure on the spring-loaded frame so as you lean on the rollator frame, the motion of the back wheels is interrupted, stopping any forward movement. Push down brakes may not be suitable for heavy users who tend to lean on the rollator frame for support or petite users who lack the physical strength to push down heavily enough to apply the brakes. Loop brakes: are brakes which resemble bicycle brakes. These are a cable style brake which require the simultaneous use of both hands and a squeezing action. Loop brakes provide greater stability than a pressure brake with instant braking action. Most rollators offer cable loop braking these days. Locking features: As well as hand brakes, a locking feature is important. The locking feature frees you up from having to continually maintain a grip on the brakes. 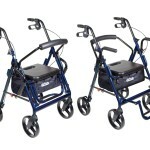 The rollator brakes can be locked in the “on” position which is a “must have” to safely use the walkers built-in seat. 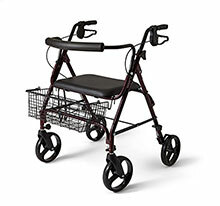 It stops the walker running away when you go to sit down safely. 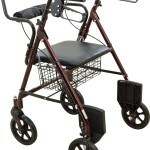 Height: the height of the person using the rollator is an important factor. The majority of rollators offer adjustable handle heights which is important if you are six-foot 2 inches or 4-foot 1 inch. The best way to work out if the rollator handle height will suit you, is to measure from the floor to the hands with the elbows slightly bent. 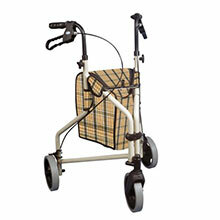 Handle height: Check to make sure the rollator handle height will adjust to suit your comfort requirements. People who are very tall will need to take this into account as they should not be hunched or bent over in a position which is unhealthy and uncomfortable when using their rollator walker. Likewise a shorter person should not be reaching up to the handles as this will strain their back and shoulders. If stability and balance is an issue, a four wheel walker is desirable as they offer a much larger degree of stability than a three wheel walker will. 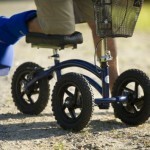 A three wheel walker will offer you a greater degree of maneuverability. important feature as rollator walkers can vary between very lightweight walkers of 11 to 15 lbs up to heavier 30lb bariatric rolling walkers. The heavier end of 30 lbs can prove to be pretty heavy for elderly people who may lack the muscle strength to lift them into the trunk of their car or the back seat. 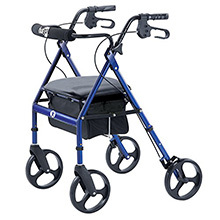 Some people may find them too heavy, and if that’s the case, you will need to look at the lightweight models such as the Duro-Med Lightweight rollator which weighs only 21 lbs and offers stable support. Indoors Or Outdoors: an important consideration, will you be using it indoors and or outdoors? The vast majority of most rollators are made to be used indoors and outdoors. If you are planning to use your rolling walker outdoors a lot, then make sure that you look for those with larger sized 8 inch wheels. These larger sized wheels will navigate grass, pavement and gravel much more easily than those rollators with small 5 inch wheels. 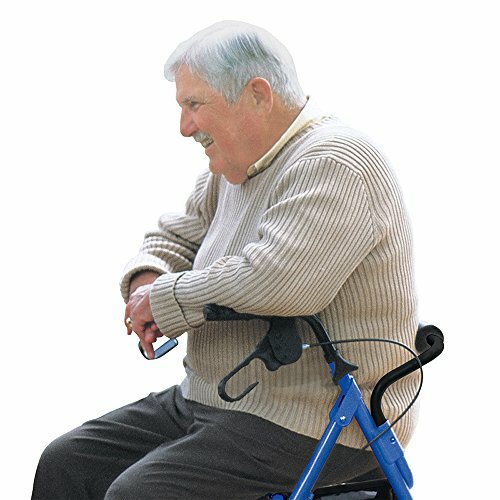 Rollator walkers with the smaller wheels are better for indoors use and do weigh a lot less than their larger wheeled counterparts. 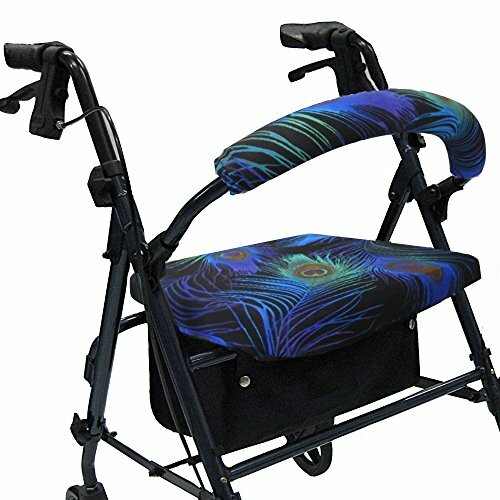 you can add to improve your life… You can purchase different seat and backrest covers to jazz your walker up. 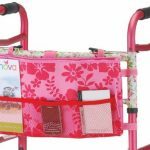 There are a variety of baskets and bags in different sizes and materials which are available to snap onto the walker. 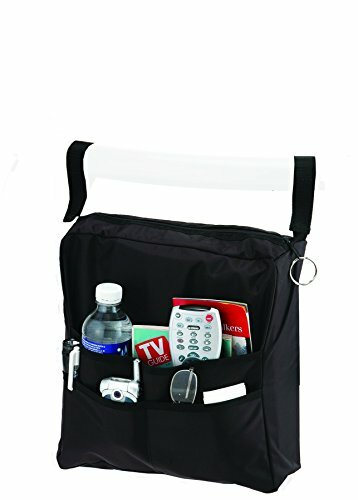 If you need to carry an oxygen tank, an oxygen tank holder is a very real convenience. An oxygen tank holder adds a degree of safety by safely storing your oxygen tank rather than adding it to your rollator basket. For the times when you need to leave your walker, a walking stick or cane is handy. 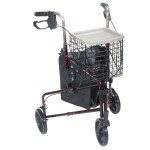 Again, a walking stick holder is available to screw onto the rollator frame to hold a cane, walking stick or umbrella. the ability to move around supported by a sturdy farm with the option of taking a rest when you need to and feeling safe. 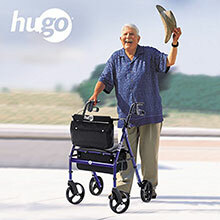 When you suffer stability and balance issues, knowing your rollator will support you is immensely confidence building. They give you the possibility of being part of the community again, being social, to visit friends more easily and even take the grandchildren out as well as taking your dog for a walk. The health benefits of using a rollator walker, they help you exercise and keep your muscles strong as well as being able to enjoy being outdoors, even if it is simply sitting and watching the world go by….